Over the weekend, Nicole Richie went to Aspen, Colorado to attend the wedding of her friend and stylist Jamie Schneider and Nico Mizrahi. Nicole spent the weekend with Jamie and other friends having a great time before Jamie and Nico wed on Saturday, April 9th at Chaparral Ranch Woody Creek. Congratulations to Jamie and Nico! I'll have a wedding with a side of snapchat, tequila, & altitude delirium please ??????? 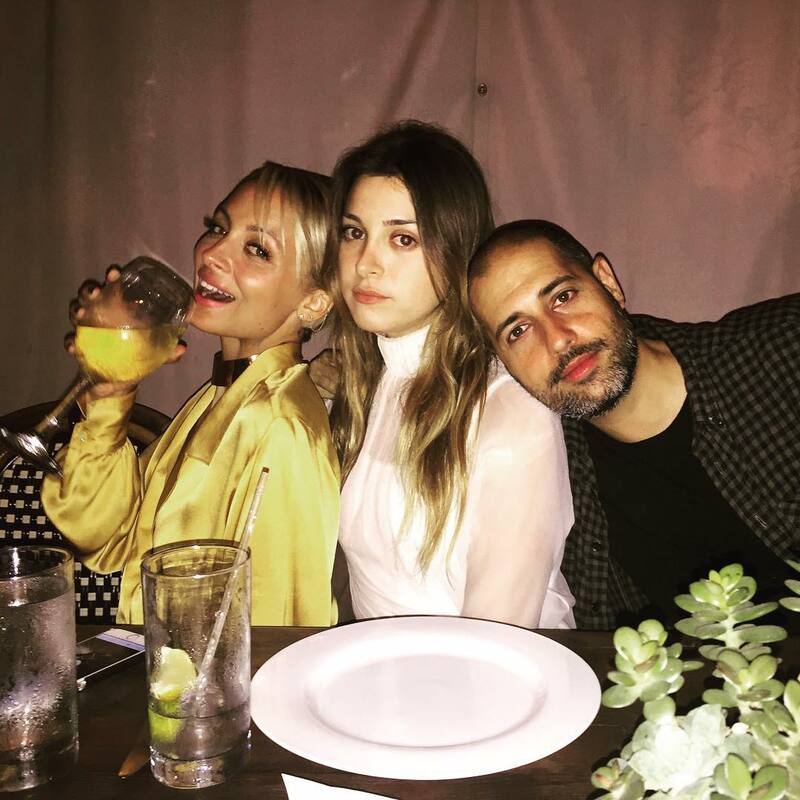 On Friday night (October 2nd), Nicole Richie and Joel Madden were out with a group of friends to celebrate the engagement of David Katzenberg and Stellina B. This took placed at the ‘Nice Guy’ restaurant in West Hollywood, California which Nicole and Joel were spotted leaving. Some other notable guests in attendance were Cameron Diaz, Katherine Power, Jamie Schneider and Hilary Tisch. Jamie Schneider styled Nicole Richie for the CoverGirl 2015 VMA panel event and she shared an amusing video featuring Nicole from that day! sweetbabyjamie: @nicolerichie wearing LOVER, @stuartweitzman and @houseofharlow1960 jewels yesterday attending the @covergirl for VMA panel styled by me. Jamie also shared a personal photo featuring Nicole from another recent but separate occasion.